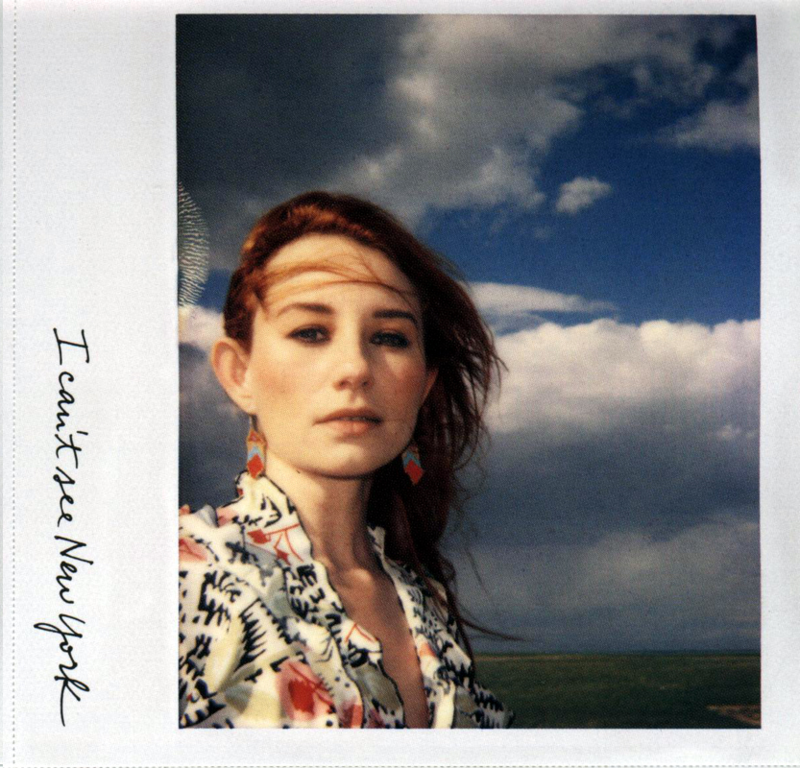 So, my new interest is in Tori Amos. 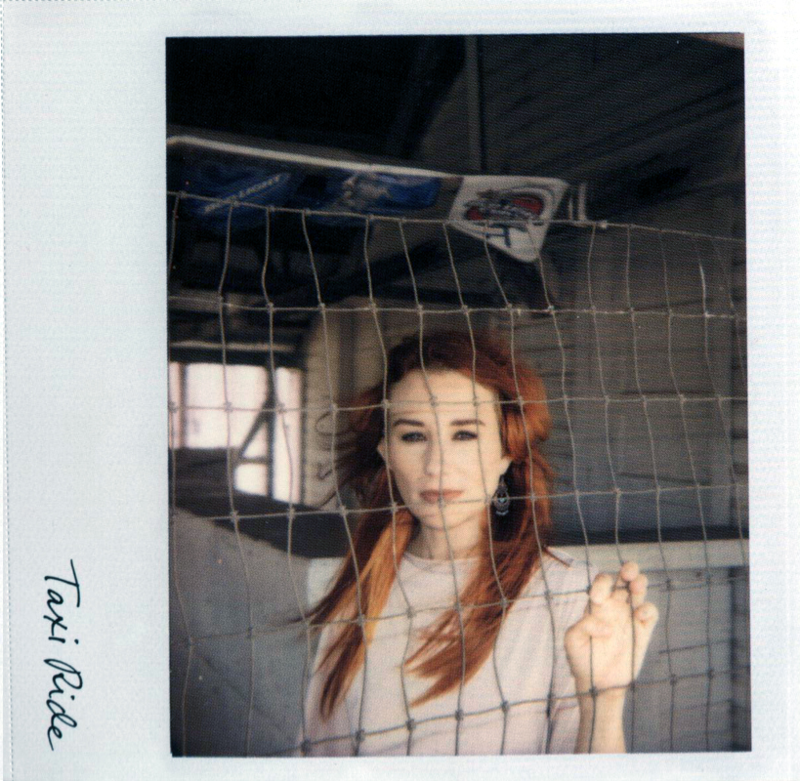 If you’re not familiar with Tori Amos, I’m going to fill you in on what I’ve learned. But here’s what I’ve learned of our Miss Amos thus far: she currently has released 11 albums, and that’s not counting singles and EPs. 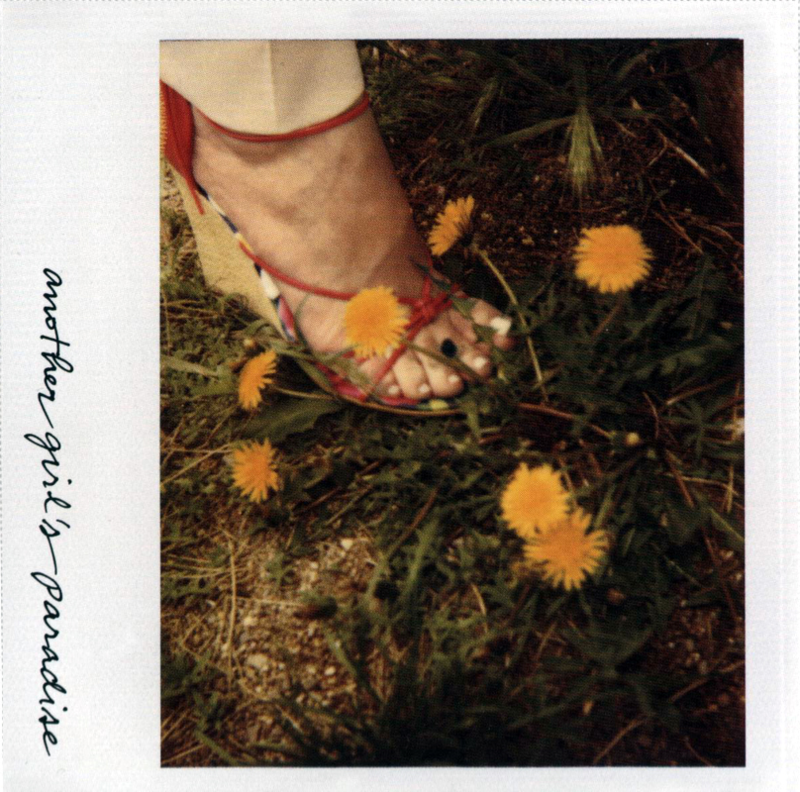 Her first album, Little Earthquakes, contains the song by which I recently discovered her: Precious Things. Here’s the story of how I found Tori Amos. I’m a fan of Regina Spektor’s song, Samson, and I was listening to the orignal, slower version of it from her second album Songs. This somehow led me to someone on YouTube playing it and doing his own version of it, which was pretty good, and so I tried another of his covers, which was of Tori Amos’s Precious Things. 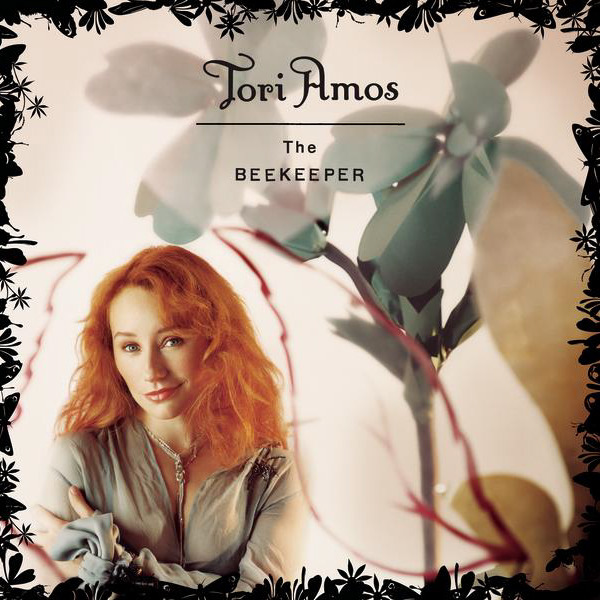 This led me to a live performance by Tori in 1994, which blew me away, and for the rest of the night I was listening to it over and over again, it inspired a brief poem too. So, with that, I decided to investigate Tori Amos, as I do. On her iTunes page, there were 27 albums that all had the same name! I found out these were what’s called an Official Bootleg, and it’s basically a live concert. On the tour for her album American Doll Posse, which we’ll get to in a second, she recorded every show and then allowed people to buy them on iTunes. This is a great idea on all sides because fans who’ve never heard her live or who’ve never had the experience to go to one of her concerts, or even who just want more music from her, get to experience every night of the show. On the other end of it, it’s very profitable because each individual show sells for 16 dollars. Not only are there probably a few people who might buy all of the shows, but with so many to choose from, people will feel like they ought to buy at least one, after all, there are 27. There’s also another official bootleg, but we’ll get to that in a minute. 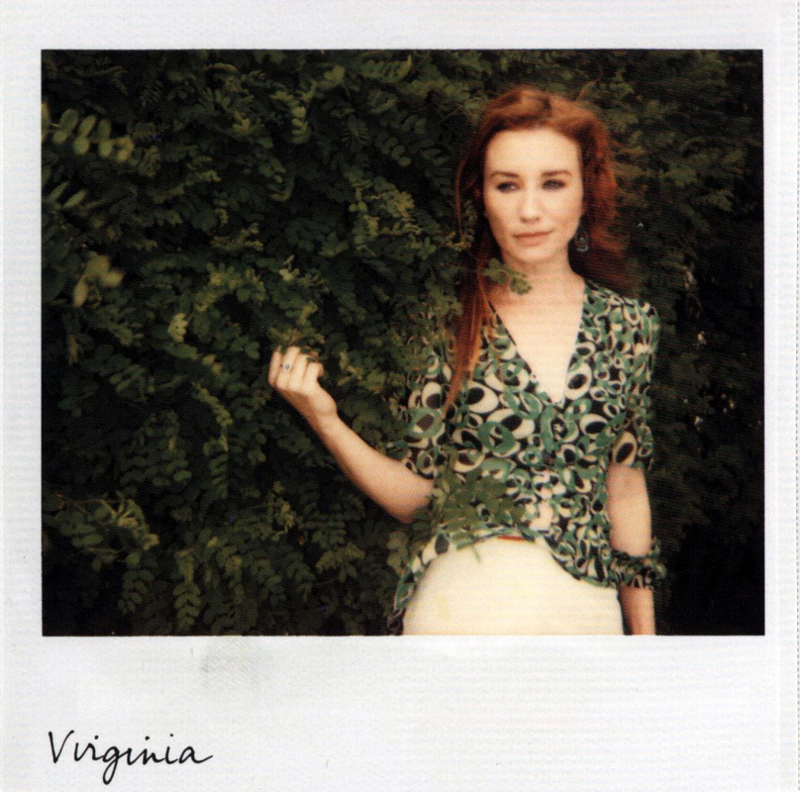 So, Tori Amos has eleven albums, the first of which contains Precious Things, and it’s called Little Earthquakes. I don’t remember everything that I read about all her albums, but I remember that one, Strange Little Girls, is an album of cover songs, in which every one of the original songs was sung by a male about a female, and on her album she reverses the genders, singing the songs from a female perspective (similar to Annie Lennox’s cover album, Medusa, which is what inspired me to one day possibly do a cover album). One of her albums, Boys For Pele, was recorded in a church, and if you’ve ever heard a piano played in a church or especially if you’ve played one, you know the acoustics are great. 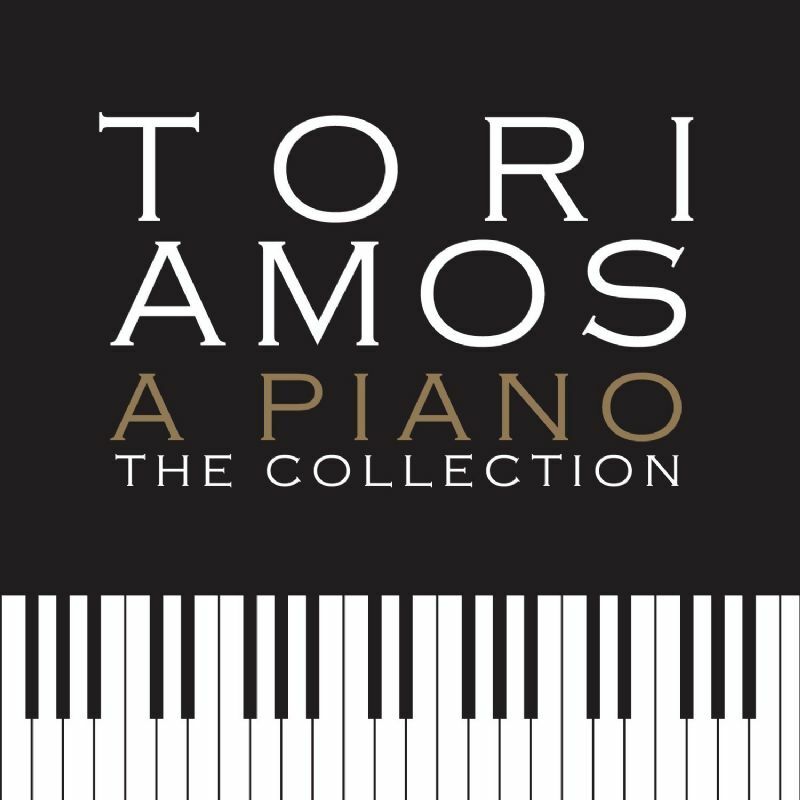 After her first 8 albums, Tori released a compilation called A Piano: The Collection. 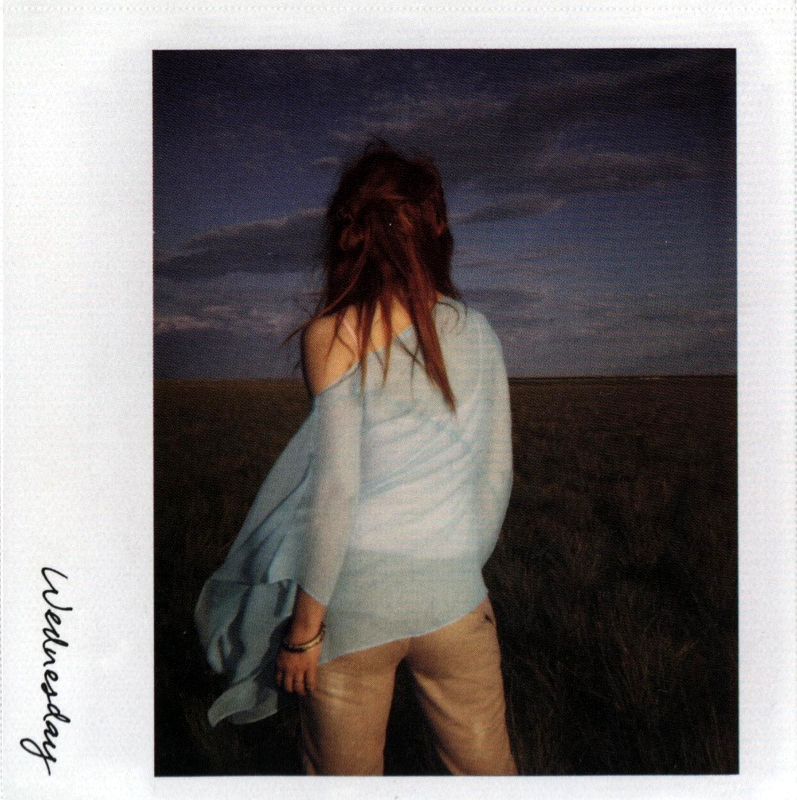 This wasn’t a greatest hits collection per say, she released an album called Tales From a Librarian: A Tori Amos Collection, and even that wasn’t her greatest hits, because the first track is Precious Things and it was never a single. A Piano is a four disc set containing all of the material up to that point, many are alternate versions of the originals, in their final form, and I think all of her B-Sides are included as well. What’s cool about this is, for someone just discovering Tori, you’d think A Piano: The Collection would be perfect for someone like me to review and listen to before embarking on discovering her new albums, but it’s over 80 tracks long, which not only makes it unique of the other albums, it also presents fans of the first 8 albums something new from all of their favorite songs. Even on Tales From A Librarian, the album isn’t a collection of singles that charted well, it’s just a good collection. Everything that Tori does is unique and original. So, Tori said the A Piano: The Collection was the summation of all of her musical work up to that point, and it kind of closed one chapter and she opened another, and I just find that really cool that after 8 albums she decided to take her music in a new direction, kind of like starting from scratch, but not at all starting from scratch, rather taking all of your musical experience and having it under your belt and starting on something fresh and new. The 9th album is called American Doll Posse, and it’s the one I’m planning on getting first, not because I feel I should start on the 9th album, but if you look at her work, and consider that the first 8 albums were a chapter of their own, it’s like dividing her music into two categories: everything up to A Piano: The Collection, and everything after. So if you look at it that way, I really only have 3 Tori Amos albums to investigate, and of course I’ll be looking into the first 8 as well. I know, I’m such a dork, and this probably all sounds very boring, but to me it’s exciting, it’s a project. So American Doll Posse is the 8th album, and it’s a concept album, where the songs are told from the perspectives of 5 Tori Amos alter egos, all of which are named after Greek Goddesses and who have their own personalities. 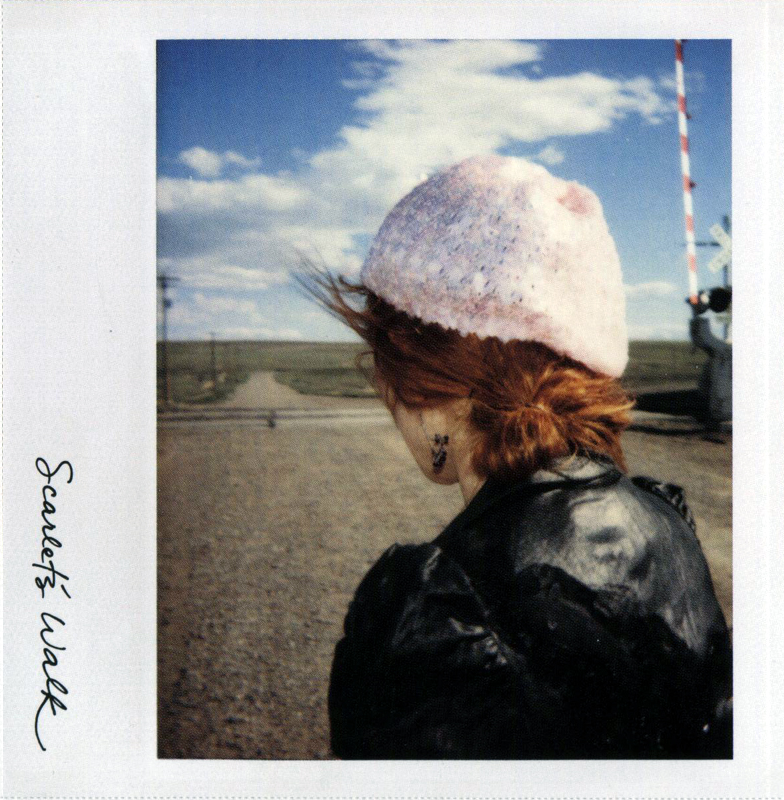 This is said to be her most rock-influenced album, which is a good starting point for me too, it’s a zone in which I’m comfortable. The Legs and Boots bootlegs (I did not immediately get the very obvious connection that “Legs and Boots” were the name of “bootlegs,” but probably because I didn’t know they were called Official Bootlegs then, I just called them live albums) all feature pictures of one of the “dolls,” or personalities, depending on which personality starts the show, and throughout the show Tori changes costumes and ultimately finishes the show as herself, or at least the doll named Tori who is a caricature of herself. I haven’t yet figured out if they’re the exact same person or not. I thought about maybe doing an album like this, since I created two alter egos for myself when I was about 12, and they lived in my mind up until I was 18. I’m glad they’re gone, I don’t want them back in my head, it was sad and sick that I needed them to talk to when I was alone, but I thought they might make interesting alter egos to play on an album. Their names were Max and Lance, they were originally created as my “good” and “bad (more in the naughty sense than anything, they’re both good)” sides, but eventually they grew up a bit. Lance was straight and Max was gay before I ever admitted to myself that I was, and eventually Lance revealed that he was bi, and one night the two of them just fell in love, and spent the rest of forever together. I think it’s a sweet ending for two characters who spent 6 years in my mind. Once one of my ex’s dumped me, I decided I didn’t want them anymore, they were unhealthy, and they resurfaced a few times after that, but eventually I moved on, and I didn’t need them anymore. 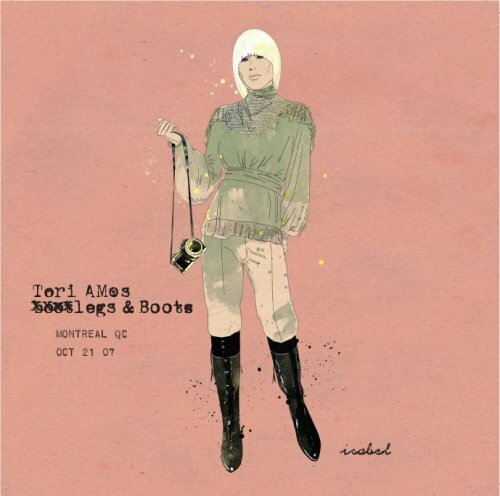 Back to Tori Amos! Remember the other bootlegs I told you about? Those are live performances of her 8th album, The Beekeper, and there are significantly fewer, I think 5 or 6, all with their own unique cover art (the cover of each Legs and Boots album is a portrait of the doll who begins the show). So, we have American Doll Posse, a rock concept album with political undertones and probably a lot more (I just don’t know too much about it yet), Abnormally Attracted to Sin, an album which contains a lot more electronic music and synth than her previous work, and Midwinter Graces, a seasonal album with her own takes on classic winter and holiday songs, along with some original songs. So, I’ve got my work cut out for me there. 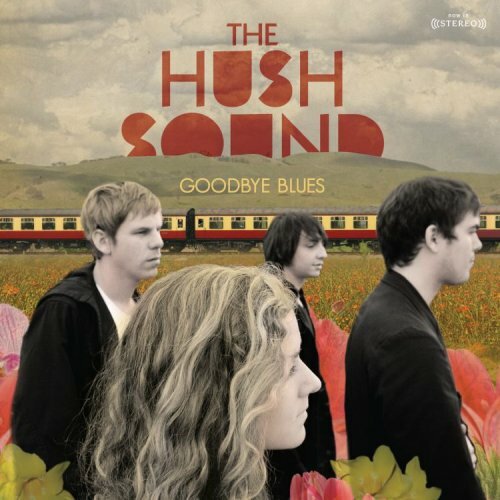 I’ve also discovered that The Hush Sound’s female lead singer, Greta, has a solo project, which is cool because she composed You Are The Moon, the song which drew me to The Hush Sound in the first place. Also, her voice is a little shaky on The Hush Sound’s second album, Like Vines (the only one I own right now), but from the previews I heard of their third album, Goodbye Blues, her voice has improved a lot, so I’m hopeful for her solo project. I don’t remember what it’s called, but I think there is an album available. Also, I’ve gotten into Marilyn Manson. I, like many others, had always stereotyped Marilyn Manson as being ridiculous and sick, but upon further review of their music (yes, their music, Marilyn Manson is actually a band, eponymously named after the stage name of the band’s lead singer), it’s pretty awesome, and it’s all very meaningful, rebellious, and frankly, pretty cool. So, I was mistaken about Manson, and it turns out they’re actually really cool, so their Greatest Hits has been added to my wishlist (normally I don’t go for Greatest Hits, but like Tori Amos, Marilyn Manson has a lot of albums, and all the songs I already like are on this album, except for one, Heart-Shaped Glasses, the single of which I downloaded from iTunes). So, Tori Amos, The Hush Sound, Greta’s (I can’t remember her last name) solo project, and Marilyn Manson. My recommendations, and my current projects. There’s a song on Ellipse called Earth, which I just remembered I was going to do a blog about, so I might do that later and you’ll hear my take on the song. During the UK leg of the tour, she had cellists try out at every show to play during Aha! During this leg of the tour, she’s having people upload their own interpretations of Earth via YouTube, and she’s going to have a different person for every show come on stage and sing Earth with her! Even cooler, the person who wins for the night also gets their own 15 minute set before Immi’s begins! She can do this because she operates under her own record label, Megaphonic records (I have fantasized quite often about being signed to Immi’s label and her becoming my friend and musical mentor), and so her shows can be anywhere she wants, the tickets can cost whatever she wants them to, and anyone who she chooses can play if she so chooses! Isn’t that awesome? 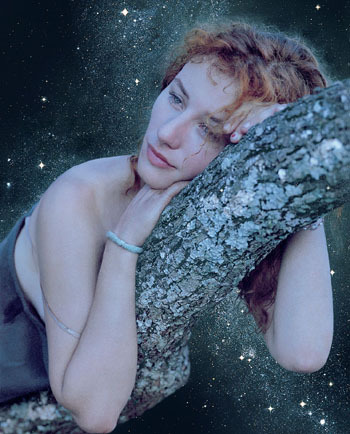 Honestly, I’d really like to try out, but I don’t really have any ideas for Earth, and as much as I’d love the oppurtunity not only to see Imogen Heap perform live, but to meet her and be a part of her show, I don’t think I could do a good interpretation of Earth. It’s completely acapella, and my forte is piano, and it’s not that a good piano backup couldn’t be done, it’s just that I’m not sure I could do it. But the idea of my own 15 minute show before Imogen Heap’s is pretty awesome. Another obstacle is that she isn’t coming to my town. The closest she’ll be to where I live is Atlanta, Georgia, and since I currently have no money and no transportation, my only hope is that my boyfriend would get us tickets and we could take turns driving there. I presented him with the idea and told him not to say yes or no, because asking him to buy us tickets and drive to Georgia is a pretty big favor to ask, boyfriend or no, and asked him just to think about it for a week or so. To demonstrate how serious I am, my plan has been to get my license within the week, which I’d still like to do, but I don’t really know how I could. I only have my learner’s permit right now, and I’m very rusty at driving. A few days ago I drove down the street to get our umbrella out of someone’s yard, and on the way back, I literally drove on the left side of the road. I didn’t realize what I was doing at first, but I felt like I was doing something very wrong, and then it hit me. So, I need some more practice. Even good drivers get into accidents, and I’m honestly very confused about the rules of the road. I don’t quite know what to do at all kinds of stoplights, I don’t know how to handle a situation in which someone is driving stupid, and in fact, I probably wouldn’t even realize that they were driving incorrectly because I have so little driving experience. But I said I’d get my license by the end of the week and I’m going to at very least put some effort into refining my driving skills. After all, I could technically go and take my test, but I’ve failed the last three times I’ve taken it, and then was when I was driving pretty decently. So, right now my hopes as far as going to a concert are to see Imogen Heap in Georgia. I did have my heart set on Lady Gaga, since she’s coming to my town in September, but honestly tickets are really expensive, I probably wouldn’t be able to get enough money together to get really good seats, and an Imogen Heap concert would be so much more creative and unique. While I really would like to see Gaga and the Monster Ball, especially after all my time obsessing over her, and while it would be gratifying to finally see a Gaga performance, especially this one, because her performances are just getting more and more elaborate and this will probably blow anything I’ve already seen out of the water, it’s ironically much more feasible to drive the distance to Atlanta, Georgia and see Imogen Heap. It’s in a much smaller and more comfortable setting, and Immi is really active with the audience and involves them as much as possible, and besides her music is so diverse and creative and she’s such a big idol of mine that it would really be a pleasure to see her perform before she goes back to Europe. So, that’s the deal with me seeing Immi. Hopefully it will happen. Oh, one more thing! I’m finally starting piano lessons. Someone is giving me free piano lessons because she says she needs to practice teaching, and we’re starting this Saturday. I can’t wait, because while the self-taught pianists I’m a fan of are all very good at what they do: Matt Theeson, Sara Bareilles, I think Hayley Williams, those who are classically trained are a million times more talented, like Tori Amos and Imogen Heap. So I think it would do me a world of good to have some good serious training under my belt, and it would also offer the option of being an accompanist if I needed some extra money. I also spent some more money on iTunes! First, I bought Imogen Heap’s live album “An Evening With I Megaphone.” As far as I know, the album is only available via iTunes, and it’s well worth ten dollars, especially since it’s 16 tracks long, includes 2 Q & A sections, and introductions to every song explaining it, plus tons of fun Immi laughing and improvisation. There’s also a beautiful digital booklet featuring paintings of Imogen and the set, and it’s altogether a great buy, especially if you have iMegaphone. I’ve only heard about a third of the album, but the two compliment one another so well, because the live performances are so different, that when you’ve heard the original you appreciate the simple beauty of the piano, and when you’ve heard the live version, you appreciate the layers of work in the original. It’s a great buy, and Immi is so charming and personable. During one of the songs (I’m not telling you which one, you’ll have to find out for yourself), the sound actually stops working, and as she is known to do, she just begins improvising to fill the time. As I’ve mentioned, there are also two Question and Answer portions where she takes questions from audience members and always keeps everyone laughing. The album also features three B-Sides from iMegaphone, one called Leave Me To Love, with some really awesome lyrics, particularly in the bridge (I think Immi conciously chose to use every curse word she knew in the first verse of this one), another called Blanket, an Urban Species song that features Imogen, and so she sings the rap. The last B-Side, Kidding, is the only official recording of the song. 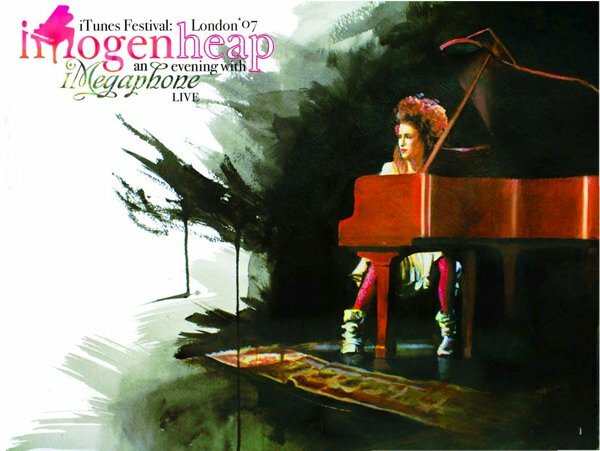 So yes, it’s on Imogen Heap’s iTunes page, the title is iTunes Fesitval: London 07 – Imogen Heap: An Evening With I Megaphone. I also downloaded the Marilyn Manson single Heart-Shaped Glasses (When the Heart Guides the Hand). It’s a really good song, and while Manson’s vocals can be a little monotone, the song still has some great energy to it, and feels a little symphonic, along with some great guitar riffs. The song is also featured on their album Eat Me, Drink Me. The reason I want Marilyn Manson’s greatest hits collection is similar to why I might like to have Tori Amos’ Tales From A Librarian, because it kind of wraps up one era and allows a new fan like myself to start with just a few albums to try and digest rather than listen to all 10 or more of them immediately and try to handle them all. It’s disrespectful to the work to just give it a listen through and then move on to another album, an album represents a specific point of a musician’s legacy and all of their efforts coming to fruition in one creation that shouldn’t be tossed aside lightly to buy all of the other albums. And for me, I’d then be left with an overload of music, and probably wouldn’t be able to appreciate it all. 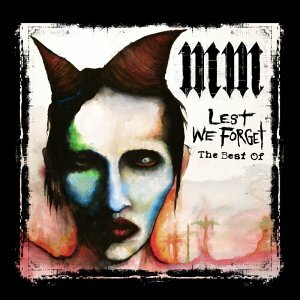 So, as I was saying, I want Marilyn Manson’s Best Of collection (like Tori Amos’ compilation album, it’s not just a list of singles, but an actual collection that’s put together with love and respect for the music) is so that I’ll narrow my list of Manson albums to investigate down to two rather than 10 or more, Eat Me, Drink Me, and The High End of Low, their newest album. And then, I can decide which of the albums prior to the Best Of collection to investigate. It also seems to me that most if not all of Marilyn Manson’s albums are concept albums, and I think concept albums are great. I downloaded two songs from Tori Amos’ A Piano: The Collection, both because I wanted a version of Precious Things that sounded more stripped down than the others, since that was the way I first saw it, and because I probably won’t be getting A Piano: The Collection any time soon, so I got the two songs I wanted from it the most. One is an alternate version of Precious Things, and one is a song called Merman (the one on A Piano is called the B-Side Version, so I assume it must be different from the regular song). Merman is apparently dedicated to Matthew Sheppard, it may have been written before then, but I’m told that Tori dedicated to the memory of Matthew Sheppard. 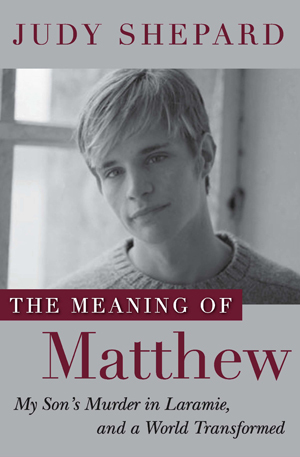 I could do an entire blog about Matthew Sheppard, because I just finished reading Judy Sheppard’s The Meaning of Matthew, detailing Matthew’s life, his death at the hands of two homophobes, the trials of his murderers, and Judy Sheppard’s career as head of the Matthew Sheppard Foundation, public speaker, advocate for hate crime legislation (which, thanks to Obama, has been passed), and LGBT rights advocate. When it comes to dealing with things like this, I’m internally divided because a part of me knows I will be heartbroken if I open myself up to it, and that’s the reason why I got The Meaning of Matthew almost a month ago and just now finished it, I can’t just read it for entertainment, it’s emotionally draining, but the book really helped me to feel closer to God, and to appreciate my blessings, and to understand that steps must be taken to help those who are oppressed. We live in a time where LGBT people, young and old, are taking a stand for our rights, and I personally need to be more involved. So, for right now, that’s all I’m going to say about Matthew Sheppard, not because he doesn’t deserve every bit of our time, in fact he deserves much more than just a mention in this blog, but it’s hard to know exactly what to say and how to be respectful of Matt’s memory, and I just want to remain calm and do a silly little “here’s how I’m doing, listen to this music” blog tonight. But I do recommend that anyone who doesn’t know about Matthew Sheppard’s murder educate themselves by going to matthewsheppard.org or by buying the book, or both. Merman is dedicated to Matthew Sheppard, and it was one of the two Tori Amos songs I downloaded from iTunes, as I mentioned. I also downloaded Evanescence’s newest song, Together Again, the first official release since their 2006 album The Open Door. As good as Amy Lee’s voice was before, it’s about 10 times better now, which is really something. The song is very Evanescence, but it’s new Evanescence, it’s similar to their past work, but it has a more real feeling to it that isn’t quite so electronic. 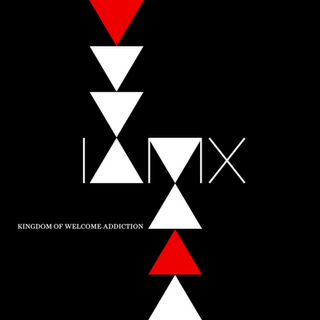 Finally, I downloaded IAMX’s My Secret Friend EP. 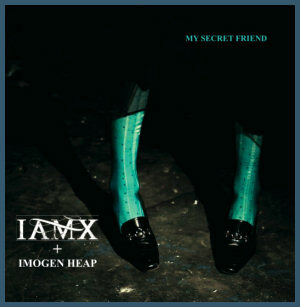 My Secret Friend is a song by IAMX, the solo project of alternative rocker Chris Corner,who Imogen Heap admires and seems to have quite a crush on. I think Chris might be gay though, which is great because he has an awesome voice and I like the we have him on our side. He really gives me hope though because he has a gorgeous falsetto, and I’ve always wanted to use my falsetto voice a lot, but felt that it might sound silly or bad, but if Chris can do it, I really feel a lot more empowered. I was already going to use my falsetto voice anyway, but Chris Corner just added more fuel to the fire. So, there we are. My secret friend is a pretty addicting song, I actually had already downloaded the album version on IAMX’s album The Kingdom of Welcome Addiction, but the radio edit featured on the EP is a little different, and I actually prefer the intro to this one better because it features both Chris Corner’s gorgeous high notes, Immi’s vocalizing, and the piano accents which add a lot to the song in my opinion. The song is really more of a duet than it is IAMX featuring Imogen Heap, he sings the first verse and she wrote and performs the second, and the two sing together on the chorus in the finale, while Immi does the bridge. There’s a remix of it on the EP which I haven’t listened to enough to give you an opinion on, but from what I’ve heard it sounds pretty good, though I think I prefer the original. Finally, there’s the third remix, which is very unique. The third remix is called The Unfall (Broken Waltz Rework). 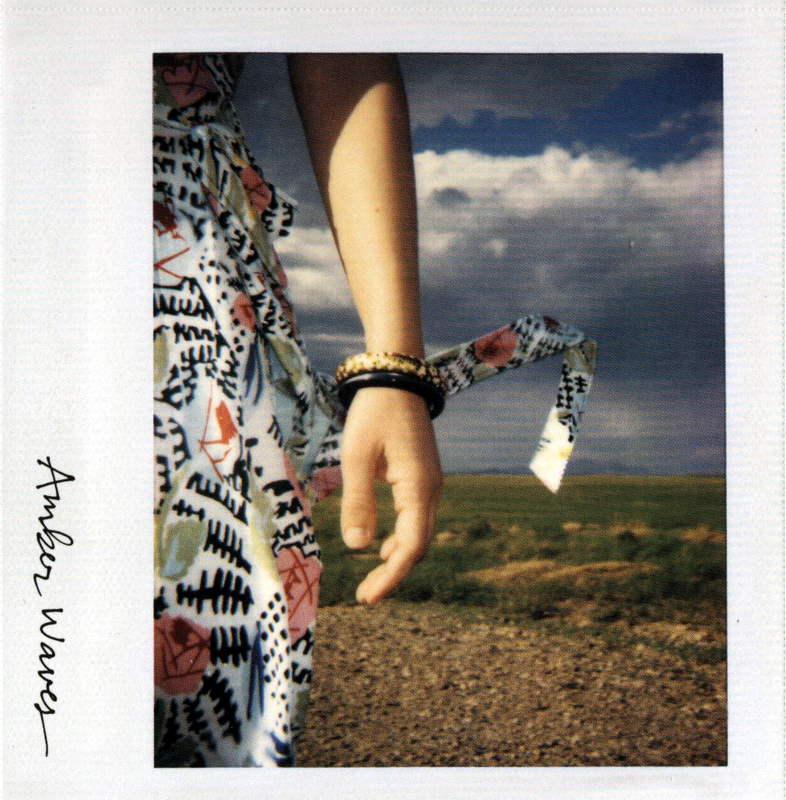 I think Imogen put this one together, I believe she talked about turning an IAMX song into a waltz in one of her vBlogs, so I can only assume she was responsible for this, but even if Chris did it himself, I know she at least had the idea to do it for one of his songs. What I like about this is that isn’t a remix in the sense that we usually think of remixes, it’s what I actually think should be on an EP, an alternate version of sorts. Chris sings the entire song in a higher octave, showing off his beautiful falsetto, and it really makes it unique from the original, as oppose to placing a different backing track to the same vocals like most remixes do. Which brings me to a point I’d like to make about my musical endeavors: I like EPs, but the problem is that I don’t really like remixes. With Lady Gaga, there have been a few notable exceptions, and not all of her remixes are bad, but some are just awful, and it’s really silly how people place bad techno music underneath a good song, speed it up some, and then call it a remix. What I want to do if I ever release a single EP, is to have the single EP be all the same song, but different versions of it. For instance, the first would be the album or radio version, and the next 3 or 4 would be alternate takes of it. Like one could be a rock version, one could be a symphonic version, one could include electronica, and one could be more acapella, one could be a live version with a choir, the possibilities are endless. Another idea I’d like to do with a single EP is to have other bands or artists do covers of the song, so that the first song on the EP would be the original song, and the next 4 or 5 would be covers. Like if I released an EP of a song, and there were covers by My Chemical Romance, Imogen Heap, Tori Amos, Dolly Parton, and, let’s say, Lady Gaga. I know the five of those people are shooting a little high, but it’s a hypothetical situation, let me live my dreams the way I want to! So, when I release a CD single, I want to make it something unique, and put alternate versions, covers by other bands, or other bands who draw from it and interpret it into their own spin-off, or other artists or bands who make a sequel to it, there really are plenty of things you can do with it. So, that’s the money I spent on iTunes. 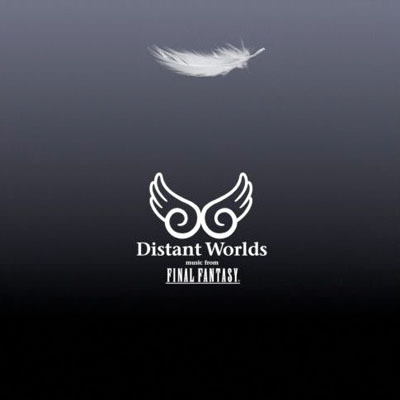 At first, I was torn, because I couldn’t decide whether to buy Imogen Heap’s album on iTunes or to order Distant Worlds: Music From Final Fantasy. I knew about this before, but I hadn’t really given it much of a chance, I somehow ended up listening to the preview of Don’t Be Afraid, the battle theme from Final Fantasy VIII, and thought it was incredible live, and upon further review of the other tracks, thought it seemed like a very good album. It’s a live performance of music from the Final Fantasy series with a full orchestra, and it’s pretty awesome. There’s another album called 20020220 or something like that, some name that doesn’t make a lot of sense other than that it’s symmetrical, and it’s a similar album, but this is my pick for the moment, from what I’ve heard of the two the orchestra in Distant Worlds is just better in my opinion. It’s late, and I want to watch Jon Stewart and the Colbert Report, so I hope you all got something from this blog. Goodnight everyone, have a blessed day, tell someone you love them; love yourselves and one another.